A legend in Vail, Colorado for decades, the Tyrolean Restaurant, was converted into a custom chalet with stunning views. The four -bedroom property has timeless beamed ceilings, stone fireplaces, and large windows looking out toward the mountains. The open floor plan includes a kitchen and dining space with a breakfast bar and adjacent dining area. 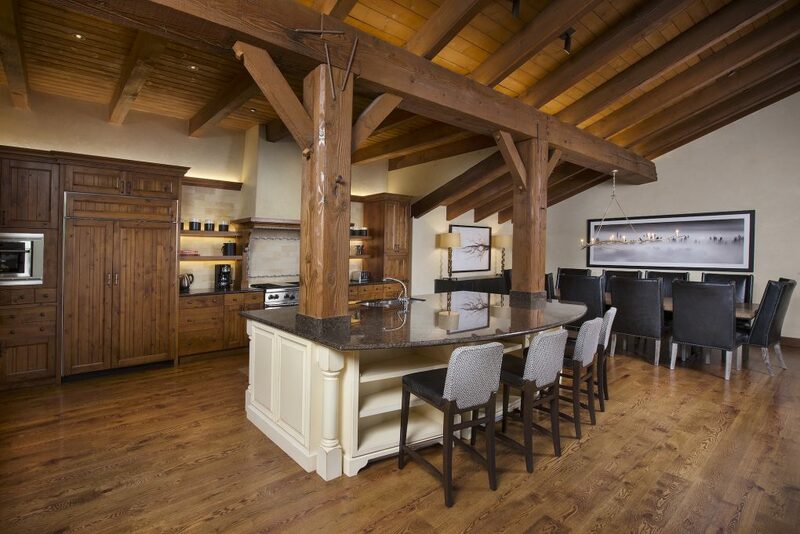 The property is sold furnished with artwork as well as a Vail Mountain Club membership. This property is listed for $14.5 million with Slifer, Smith & Frampton Real Estate and is showcased by Luxury Portfolio.